(Dec. 20, 2016) -- USA Cycling is excited to announce the winners of its 2016 Club of the Year awards! Three clubs earned overall Club of the Year honors in divisions I, II, and III and an additional seven clubs earned special awards in the junior, masters’, women’s, new club, mountain bike, track, cyclo-cross, collegiate club, and collegiate varsity categories. In addition to bragging rights, the winning clubs will receive a trophy and complimentary renewal fees for 2016. Congratulations to our winners! The CT Cycling Advancement Program (CCAP) took the Division I title this year due to their development of a youth cycling program with three distinctive tiers and focus on community impact. These tiers provide a pathway for beginner riders as well as elite riders on the national circuit. Through CCAP youth programs in the area have experienced unprecedented growth with over 490 kids currently participating in 35 scholastic and municipality based programs. Kids from these programs have gone on to participate in national and international competition. GS Andiamo won the Division II title based on the club’s strong background in developing junior racers and hosting junior focused events. They host weekly skills rides as well as an expanded set of clinics such as the USA Cycling BRP and a Velodrome Certification weekend. By exposing young riders to all different types of cycling, GS Andiamo hopes to help riders learn the sport of cycling by keeping it fun and unique. The University of Arizona is Collegiate Club of the Year. Whole Athlete p/b DNA is a small team that focuses solely on Junior and U23 development at the elite levels. The coaches' and mentors' direct role is to develop the riders until they are ready to take the next step in the sport. Riders are taught and encouraged to develop a sense of discipline and responsibility by meeting team deadlines and maintaining a high level of communication. This approach has paid off with members of the club attending world championships and other elite level competitions. Women Bike PHL Racing has used their team to provide a platform for the first-year racing experience they wish they had had. By getting a critical mass of awesome women together and focusing on skills, camraderie and grit - not power meters and data - they have built a community that has an energy of its own. This six week program is free to all women and covers all the topics needed to be more confident and comfortable on a bike. With over 23 graduates so far, Women Bike PHL Racing is well on its way towards building a legacy. Team Velosport strives to grow Junior road cycling by promoting the sport's benefits. In the process of teaching cycling to young athletes they also teach good sportsmanship, teamwork, responsibility and other traits that help on and off the bike. By working with a broad range of age and skills they are able to be the home team for riders through U23, providing consistency in the racing environment. In addition the team seeks to help out the local community not only by being affordable but also by running events like their Hunger Ride where proceeds go to local food banks. The variety of activities and support that Team Velosport provides is why it was named Junior club of the year. Crest/RBM Cycling is dedicated to advancing the sport of cycling at all levels through local events, group rides and community involvement. They are heavily involved in helping with track cycling events at the Superdrome in Frisco, TX and lead several group rides a week, some from the parking lot of the Superdrome. They complete their efforts of community involvement by organizing bicycle safety clinics, participating in charity rides and working with local trail systems. This multi-faceted effort, combined with their other racing activities is why Crest/RBM won the Masters club of the year award. Sound Velo Cycling Club won Women's club of the year for it's extensive focus on community activities while also providing a platform for women to not only start racing, but excel at it. They participated in multiple volunteer days geared towards kids including Take a Girl Biking Day and YMCA Healthy Kids day. Outside of community involvement the club hosts training sessions in multiple disciplines as well as social gatherings that allow teammates to connect off the bike. We can safely say that their goal to promote and develop women's cycling in the Pacific Northwest is already being accomplished. The Summit Bike Club focuses on the cross-country discipline and with over 160 members and 20 coaches it is able to accommodate a wide range of ages, from U13 to U23. Although the group focuses on developing its riders, the club also held public clinics to help educate other riders in the mountain bike community as well as helping to promote the Nordic Valley Stage Race. Through all of this the club works on developing riders both on and off the bike. It has multiple programs to create progression for juniors and this has paid off through its riders competing for national titles as well as attending Worlds as part of Team USA. As one of the few Mountain Bike clubs in Utah, Summit has created its own place in the local community. 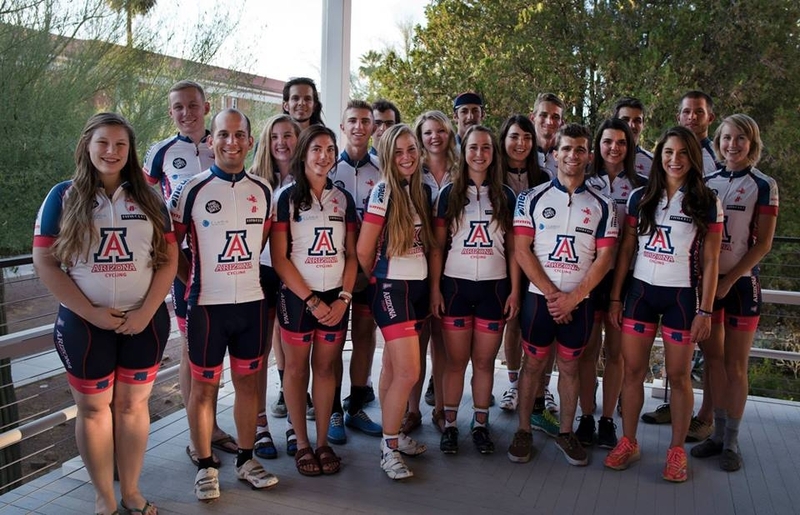 The University of Arizona won this year’s Collegiate Club of the Year award through continual commitment to promoting interest and participation in bicycle racing while achieving excellence in the classroom. With a team of 57, it is one of the larger club programs in collegiate cycling and its members run the gauntlet of cycling experience, from beginners to professionals. The team showed its strength with a National Championship for Kyle Trudeau in the single speed cross-country race. Not only are members involved on the bike, but they also support trail build days as well as volunteer sessions with El Grupo Youth Cycling to help tutor and mentor riders. Marian University continues to excel across all disciplines of cycling, both in terms of racing as well as rider development and event hosting. As the home of the IndyCycloplex , Marian has hosted BMX, track, road and mountain bike races as well as clinics and practice events for the local cycling community. Riders on the Marian team regularly visit FreeWheelin’ Bikes to work with kids at the nonprofit, and give back to the community in other ways through programs like “TeamWorks” that offers local high school students a meaningful and productive work experience in the community . This focus on community outreach, combined with over 31 national team titles is why Marian University won Collegiate Varsity Team of the year.